So you've decided to start a small farm business. You're hard at work on your business plan, and you're stuck on the marketing section. How, where, and to whom will you market all the wonderful vegetables, herbs, fruits and value-added farm products you're planning to grow and create? You can sell your wares directly from your farm, via a farm stand or even just from a barn or other structure on your property. This has the advantage of convenience - you don't have to lug produce anywhere, or even be available to talk to customers. Many farmers have a farm stand with a cash box and a clipboard and operate on the honor system; you take the produce you want, write down what you took, add up the prices, and leave cash or a check in the box, taking change as you wish. 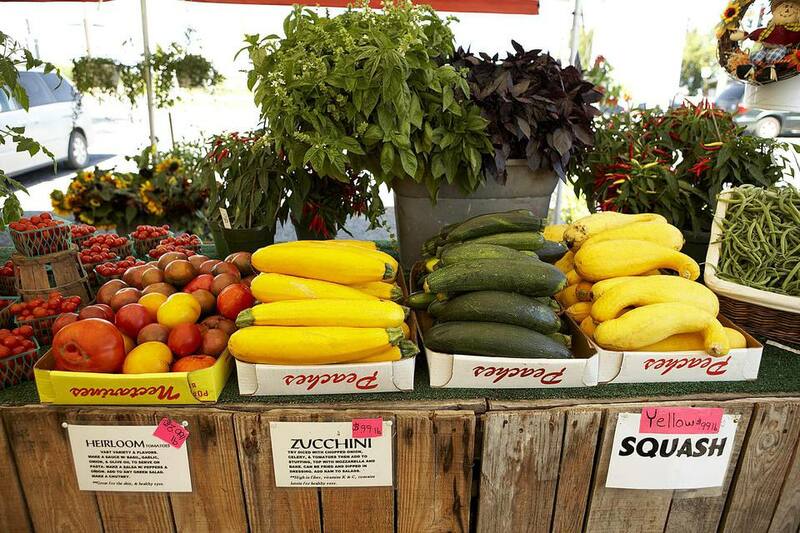 The farmers market can be a great place for you to sell your produce. Farmers markets usually run weekly. Some run only from spring through fall, but more and more, farmers markets move indoors for winter. Sometimes they reduce the frequency from weekly to monthly during the winter months. Within a 50-mile or so radius of your farm, you may find half a dozen or more farmers markets. Most often, the markets are staggered through the week, so that farmers can sell at multiple markets. Typically, the cost of setting up shop at a farmers market is not overwhelmingly high. You usually pay a fee for the season and sometimes a percentage of sales as well. You will need a table or other way to display your products, perhaps a canopy, and a van or truck or trailer for your car to transport the farm goods to the markets. There is also the labor and time of packing, setting up, handling transactions, and repacking and taking it all home to the farm. CSA shares are a great way to sell directly from the farm to the customer in a more structured way than a farm stand. CSA shares are community supported agriculture: a group of people who commit to supporting you through your growing season, and in turn, you provide them with the bounty of your farm on a regular (usually weekly) basis through the growing season. CSAs are a very popular way for farms to market their goods, and they are growing in popularity and awareness every year. By approaching restaurants directly, you can develop a relationship with a chef or chefs and learn what products they want on a regular or occasional basis for their menus. More and more, chefs value locally sourced, uber-fresh ingredients grown with care and sustainably. If you have an alternative crop to offer that can't be found easily elsewhere, chefs are often willing to pay top dollar for it. You can use the Internet to your advantage to market your small farm. Savvy consumers who want to find local, fresh produce and other farm goods are seeking those items online. If you have a website, twitter account, Facebook page, and internet presence generally, people are going to be able to find you. Make sure they can find information about your farm and what you sell. Answer emails promptly. Post interesting things, such as news about farming, articles you read, not just spammy advertising, on Facebook or a blog, and people will begin to develop a relationship with you. If you have products that can be shipped, you can directly sell them online and fulfill orders from the farm. What Small Farm Magazines Should You Subscribe To?